Posts > Current Affairs > market > ICO: say consumption will still increase in 2011, but will it? 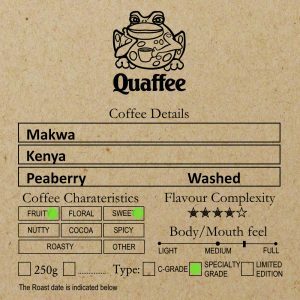 The International Coffee Organisation (ICO) have voiced their confidence that in the face of the doubling of prices in the past year, that world coffee consumption shall continue to increase by approximately 2.5% per annum. They do not see the rising prices as a hindrance to consumption. They make note that this is especially the case for the new markets in China and India, where a rapidly growing middle class has taken up the coffee shop culture of the west and is inspiring a conversion from the traditional tea culture. This is perhaps a rather ambitious forecast, as with coffee being part of basket of consumer items that are mostly food and with rising energy costs, there is no doubt that consumers shall be careful on their consumption of more expensive coffee, which for us lovers of specialty coffee, this may be good news, although there has been rumours that certain “specialty coffee” retailers are adding less expensive lower grade Arabica and Robusta in their coffees While one might foresee rising coffee consumption within China and India it is after all from a relatively low base (around 100-150 cups a year), it is difficult to see anything other than a sideways track to perhaps even some small decline, within the traditional high volume consumer markets. Perhaps not Germany with its presently vibrant economy but there are many traditional coffee markets in Europe that are struggling through economic difficulties and for sure alike North America, have consumers taking more care over their grocery expenses. Only time will tell. But we have seen that price increases have limited the coffees we have access to, this may in the long run allow us to pickup higher quality coffee at better prices, since this is a high value product, and according to the number that the ICO predict the high end demand may suffer due to the price increase at the top end. Lets hope so.